Thought I would share this recent case I did with you all. 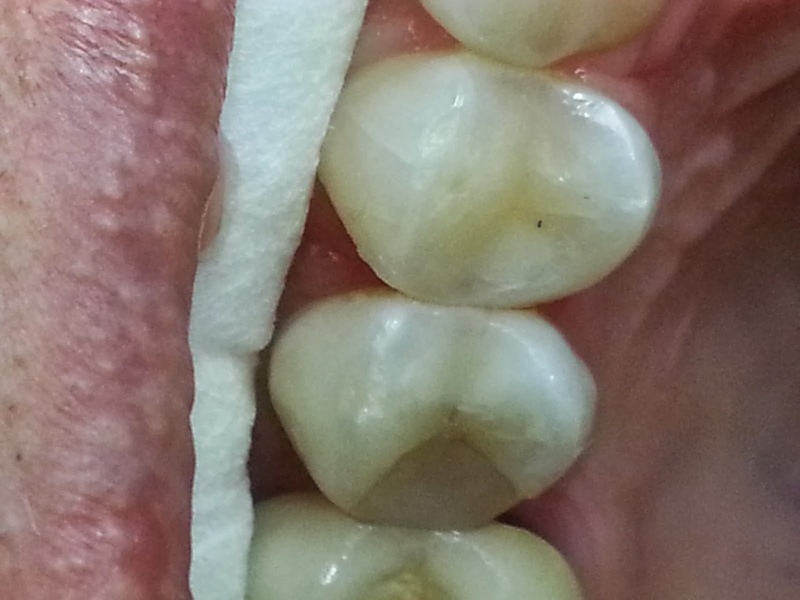 I had this delightful patient in this week, whom I diagnosed with interdental caries from localised radiographs taken. My patient didn't have any symptoms but the xrays justified treatment. 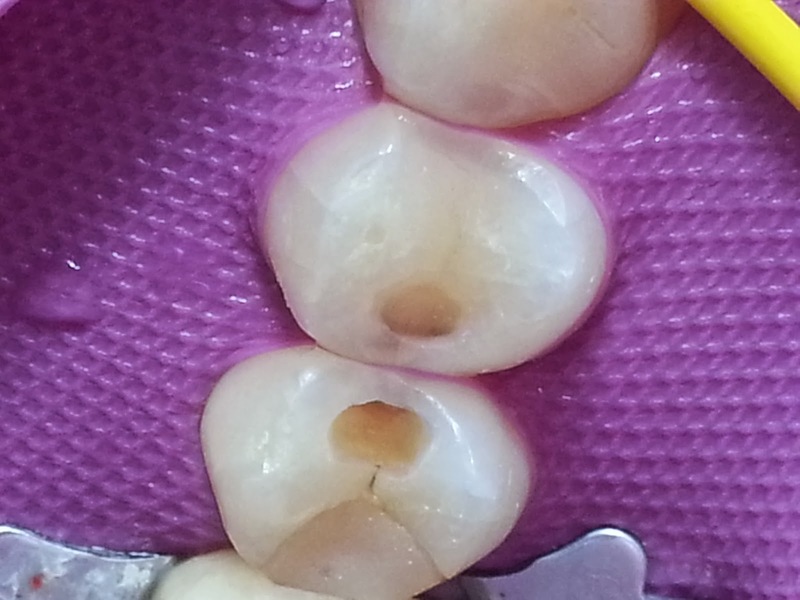 As you can see from the photo, I localised the area with purple rubber dam to protect the patient from debris and to provide a good field of view for myself to carry out treatment. You can see the decay/caries between the two teeth and the second photo showing the teeth restored with a white composite filling material. The reason for showing you this case is to make you understand how important cleaning in-between your teeth is. If the bacteria is not removed on a regular basis, then eventually caries will strike and the enamel will demineralise. To stop this from occurring, the best way to stop this is to FLOSS!! Flossing is an art and a hard habit to adopt, but once you can do this, it will reduce the chances of decay by over 75% and stop the chance of gum disease ( gingivitis ). So try it and do this every day. Make sure you have radiographs every 2-3 years to check for interdental caries.